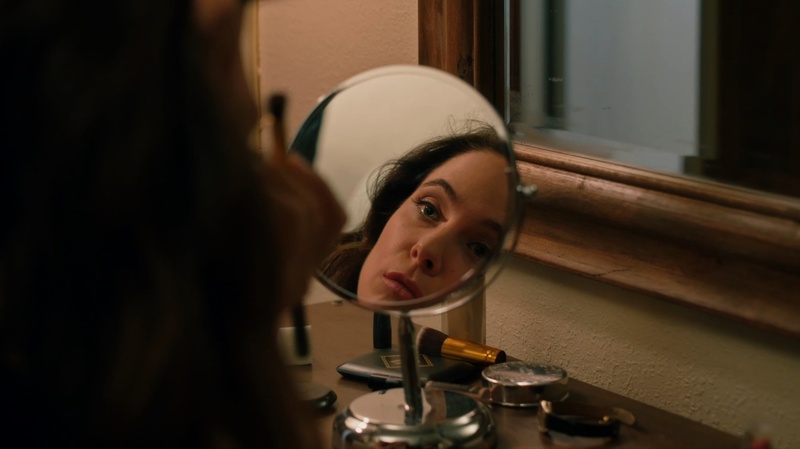 Adam Keleman’s humor-laced melodrama Easy Living — about a door-to-door makeup salesman (Hannibal‘s Caroline Dhavernas) — opens tomorrow in New York at the Cinema Village before becoming available on digital platforms Tuesday, September 19. Below, he contributes a guest essay on his path towards becoming a feature filmmaker — a journey that took him from Los Angeles to New York. Los Angeles is an isolating place — and I can say that as a native. I was born and raised in the San Fernando Valley, that large, sprawling suburb simply known as “The Valley,” memorably featured in such films as Valley Girl and Boogie Nights. As a filmmaker and film lover, I found that I couldn’t establish meaningful friendships with likeminded film geeks and creators at home. I had made films in undergraduate at UC San Diego to varying results, but had a difficult time wearing the moniker of “artist.” Ultimately, I believe what was missing from my life wasn’t the confidence to become an artist but a solid community and support system to make art. LA is filled with people striving to work up the ladder to fame and fortune, and all I wanted to do was a make a small, quiet short film with long takes. I felt like I had no filmmaking tribe of my own. When I moved back to LA after college ended, I struggled to find work, landing a couple production assistant gigs here or there. 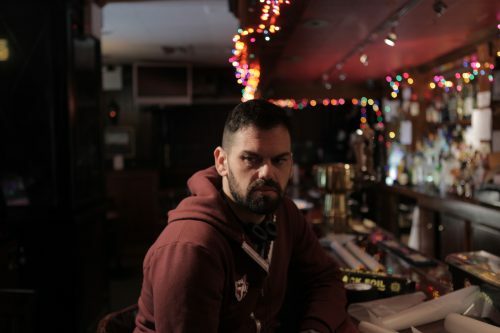 I did land my inaugural PA job on the set of a Vincent Gallo film that will never see the light of day, which perhaps could be an piece unto itself. In some ways, Gallo was my first teacher on how to make a film in the real world, how to conduct oneself on set, and block actors, and speak to the crew. It was fascinating to be there and learn from someone I respected if sometimes feared. I could tell set life was for me. I was surrounded by interesting people and didn’t have to follow the normal constructs and niceties of a 9-to-5 workplace. So, I pulled up my bootstraps and decided to make a film using my Bar Mitzvah money I had saved up. It was hard. I wore several hats: writer/director/producer/assistant director/truck driver. I cobbled together a crew from recommendations and shot at a local diner and motel. All the effort paid off. My first short film, Going Back, ended up debuting at SXSW. I was able to attend the festival and be among other professional filmmakers at varying levels in their careers. While making my first film was an amazing experience, something still felt amiss — at SXSW, I met several filmmakers from New York City and we chatted about movies we loved and the strife involved in getting on our own movies off the ground. I felt at home with these newfound friends, and I knew I had to make a change: LA was not for me. I followed my gut instinct and decided to pack up everything I had and move to NYC. NYC was much harder to land on my feet than expected. It took me a year to get consistent work in the film industry, and I found odd jobs working as an assistant to a comedian to make ends meet. What I did find was a flourishing independent film scene of many different shades, and I soon met several filmmakers who have now become collaborators. I would work on their projects, and they would be there for me when I needed help. I felt like I was invited into a thriving film culture where people actually supported each other and went to movies together and talked about them after. This cultural exchange I did not experience in LA in 2010. Now in NYC I would often attend Queer/Art/Film screenings, where I met the director Ira Sachs who would become a mentor to me. After much contemplation, I put a crew together and shot a film in New York. This new project was my deconstructed take on a vampire film, Long Days. My new friends pointed me in the direction of the Jerome Foundation, an arts organization that grants funds to filmmakers living in New York. 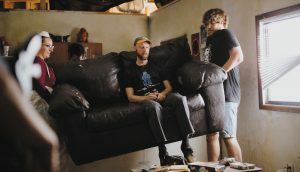 I applied, and to my luck, my film was awarded a production grant, and we shot it six months later. The film would later screen at the BFI London Film Festival and become a Vimeo Staff Pick and Hammer To Nail contest winner. LONG DAYS from Adam Keleman on Vimeo. After jumping from production to production and establishing a filmmaking base in New York, I began writing my first feature film, Easy Living. It’s about a delusional makeup saleswoman trying to pull her life together in the most misguided ways. I felt like my previous short films were very technical and atmospheric, but this time I wanted to explore the essence of a complicated character. I sent the script to a producer who I had met while working on Eliza Hittman’s It Felt Like Love. We developed the script over a couple years, even applying to the Jerome Foundation again and receiving the production grant for a second time. When the script was ready, I sent it to a casting director I previously worked with. He sent out the script to talent agents. During Labor Day weekend of 2015, I was notified the actor Caroline Dhavernas, who starred on Hannibal, wanted to talk over Skype. I was flabbergasted. She said “yes” to the movie in the first five minutes of discussion. With the lead actor in place, the film was going to happen. I brought together a crew that I was friends with or had met from previous shoots. It was the first time that a film crew felt like a family to me. We shot for over a month all over New York and parts of New Jersey. It was the hardest thing I have ever accomplished in my life. I slept three hours per night for four weeks straight. Directing a feature film is not for the faint of heart. I woke up at 6:00 AM nearly every day, got to set, shot a 12-13 hour day, and went home to watch audition videos to cast actors for the following week. My brain was nearly mush day in and day out, but my crew worked their heart out to ensure all of the creative needs were met. I relied on them, and they relied on me. It was extraordinary being able to just sit back behind the monitor and watch as all the words I had written play out in front of me. We wrapped the film before Thanksgiving in 2015, and I spent a year editing. In the post-production process, US in Progress in Paris invited my producer and I to screen a rough cut of the film. It was a rude awakening. I thought I had finished, but clearly the film wasn’t ready yet, given the feedback. When I got back to New York, I went back to the editing room with a new editor. We cut more scenes out and added music and voiceover throughout the film. Fortunately, the new cut was playing better. We began to submit to festivals and got into SXSW. It was a relief. The film would see the light of day. It is a fear amongst filmmakers — that every choice you make, no matter how risky, might never be seen by the public. But having the platform like SXSW gave me a new lease on life. We premiered the film to good reviews and were eventually bought by Gravitas Ventures for a VOD release. We’re taking the money from the sale and funding our own theatrical run. Our first stop is where we shot the film, New York City. I strongly believe you can still be a filmmaker or writer anywhere in this country. You don’t have to be in LA. I was able to insert myself into a community in NYC, and cultivate my own path. While I’ve made my first feature, that’s not to say that I don’t still need to work production gigs on other people’s sets or even still do personal assistant work. NYC is a hard place to make a living, even after many people think I’ve “made it.” It’s amazing how far I travelled to fit in, but there’s no other place I’d rather be.